Now that the whole truth has come out about her husband’s double life—including the fact that she and Jack were never legally married—Jessie is standing on her own for the first time in her life. As she struggles to put Adornments, her rental store for designer labels, on the map in Tinsel Town, her relationship with private investigator Danny Callahan gains momentum. 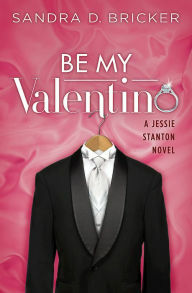 When she dresses a reluctant Danny in Valentino for undercover work at a formal affair, it’s him rather than her store that captures Hollywood’s notice. Danny, snapped by photogs, lands as the unlikely cover model on the front of L.A. Magazine. So much for inconspicuous. Will his popularity thwart her efforts to grow her business? Or worse, can Jessie afford to put her faith—and heart—into another relationship when she’s so obviously handicapped in the good judgment department?